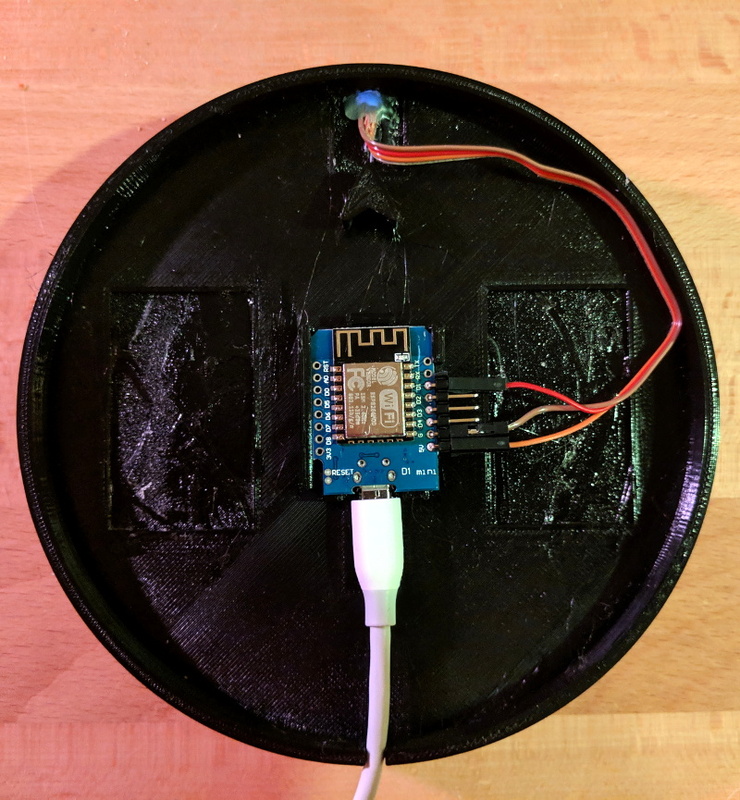 New to the Hackaday Store today is the Bulbdial Clock by Evil Mad Scientist Laboratories. I’ve had my eye on this kit for years and finally pulled the trigger after visiting [Lenore] and [Windell] at their shop a few weeks back. Assembling the beautifully-engineered kit was a delight, and I have a handful of hacks I’d like to try out — some of which I mentioned in the product description. We always listen to what the Hackaday community has to say. After receiving several requests for better international shipping prices we came up with a way to ease the pain for orders no matter where they are headed. All domestic orders totaling $25 or more now receive free shipping. All international orders totaling $50 or more now receive free shipping. Is there anything else you’d like to see different about the store? How about a hackable product you think we should stock? We’re listening via the store contact form. I’ve been a huge fan of EMSL for quite some time now, and my recent field trip proved that it has earned the name Evil Mad Scientist Laboratories for a good reason. For instance, look at the reflection in the glass near the bottom and you’ll glimpse the hearse that [Lenore] and [Windell] have sitting in front of the shop. But stop at the threshold, inside there are delights that ate up a couple of hours without me even noticing. And they thought they were going to get work done that day. Don’t judge me by my appearance. This is late afternoon on a summer Saturday in Sunnyvale. Why does that matter? Obviously summer Saturdays in Silicon Valley always start with the Electronics Swap Meet and Engineer’s breakfast! That was a ton of fun but if you’re doing it right it’s also a bit tiring. No worries, a shot of excitement came over me as soon as I walked in that front door. 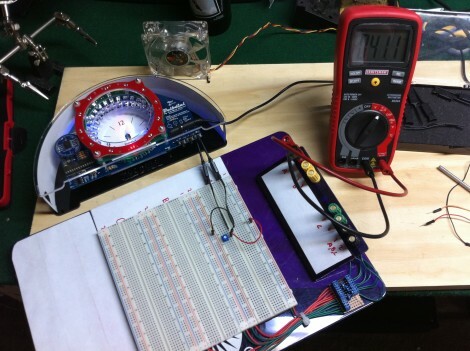 Evil Mad Scientist posted a story about what went into developing the Bulbdial clock. We think the Bulbdial is one of the best pieces of kit out there for many reasons; using colored shadows for each hand is a brilliant idea, the design is clever and uses a low parts count, and the concentric rings that make it work also add to the aesthetic. 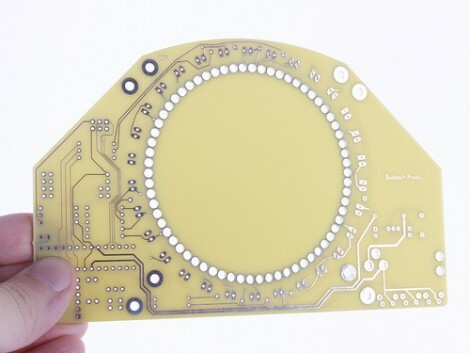 But after seeing the original wood prototype it had crossed our minds that developing those circular PCBs isn’t the easiest thing to pull off. To save on board cost, the first run didn’t have the center routed out, but rather used almost-touching holes drilled during manufacture and finished by hand during assembly. They also go on to discuss the use of Charlieplexing to reduce part count and the search for a suitable diffuser for the clock face. We never thought about it before, but having the controls on the bottom of a clock is a bit of an inconvenience. [Alex Whittemore] mutes the LEDs on his clock each night and after a while, decided he should make the mute button into a touch strip on the case. You’ll remember that the Bulbdial clock uses colored LEDs to create the effect of a sun-dial, casting colored shadows for each hand of the clock. It makes sense that this would put off a pretty good amount of light at night. [Alex’s] original thought was to use a capacitive touch sensor but complexity and cost were in his way. What he ended up with is a resistive touch switch based off of two metal strips. He used metal repair tape but suggests copper foil as he was unable to solder to tape. When your finger touches the two strips it completes the circuit for the base of a transistor, which in turn grounds the mute button on the clock. Cheap, simple, and illustrated in the video after the break. [Taufeeq] sent in his “Circle of Light” bulbdial clock. You may remember when we showed you Evil Mad Scientist’s version a while back, and [Taufeeq] did use it as a base but he’s added some of his own little touches. Some of the changes include using a PIC with an RTC chip instead of AVR, which allowed him to shrink the board down small enough to fit behind the clock face, rather than on front. He’s even zipped everything up conveniently to help you build your own. Evil Mad Scientist Laboratories has built the bulbdial clock, an idea originated by Ironic Sans. It’s basically a high definition indoor sundial. The LEDs arranged in a circle shine a light on the peg in the middle casting a shadow, just like a sundial. There are 3 colors of rings, allowing for hour, minute, and second shadows. This isn’t the first time that Ironic Sans has seen ideas come to reality. There were the pre pixelated reality show clothes and the sneaky histogram hidden message system. While it is a cute idea, it isn’t really new. People have been patenting this idea for a while.